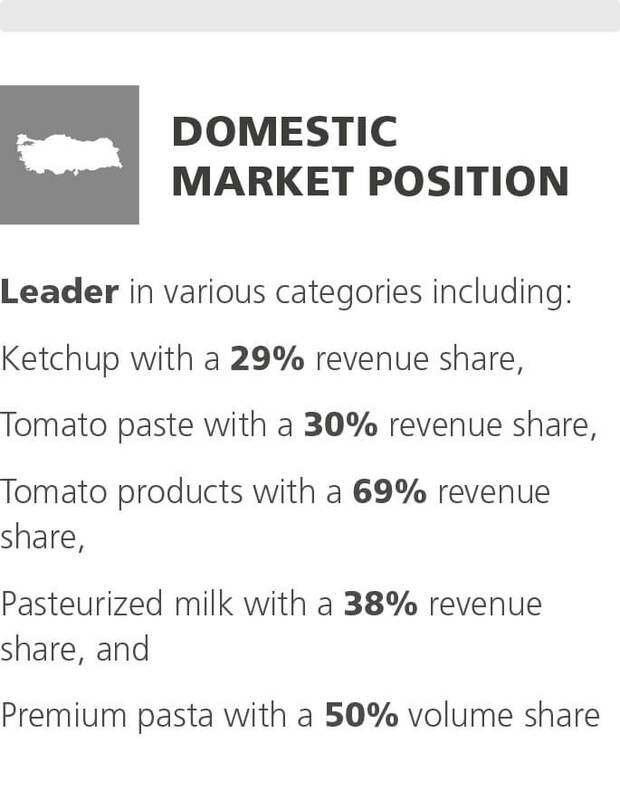 Tat Gıda is the leading brand in tomato products, tomato paste, ketchup, pasteurized milk and premium pasta. Tat factories processed some 400 thousand tons of fresh tomatoes during the 2015 tomato season, the highest level in recent years. 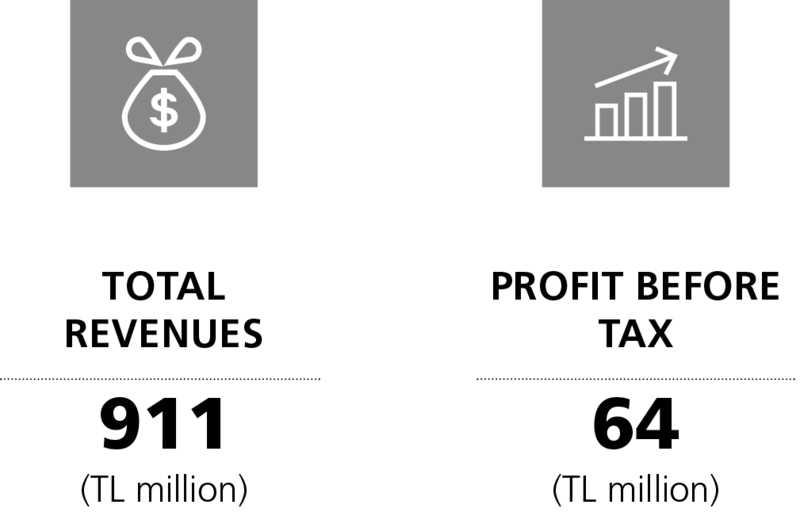 This tomato processing volume led to increases in the Company's capacity utilization rate as well as productivity. Tat Gıda helped to initiate agricultural banking practices in contract farming in order to create more value for farmers. With the acquisition of the Söke cheese factory in 2014, Tat Gıda's daily milk processing capacity increased by 33% in 2015, climbing to 1,200 tons. In the milk and dairy products business line, and especially in the cheese category, the brand continues to undertake investments in pursuit of its growth targets. The collective labor agreement between Tat Gıda Sanayi A. Ş. and the trade union Tekgıda-İş started in 6 January 2015 and ended in the agreement signed on 13 May 2015, valid from 1 January 2015 until 31 December 2016. 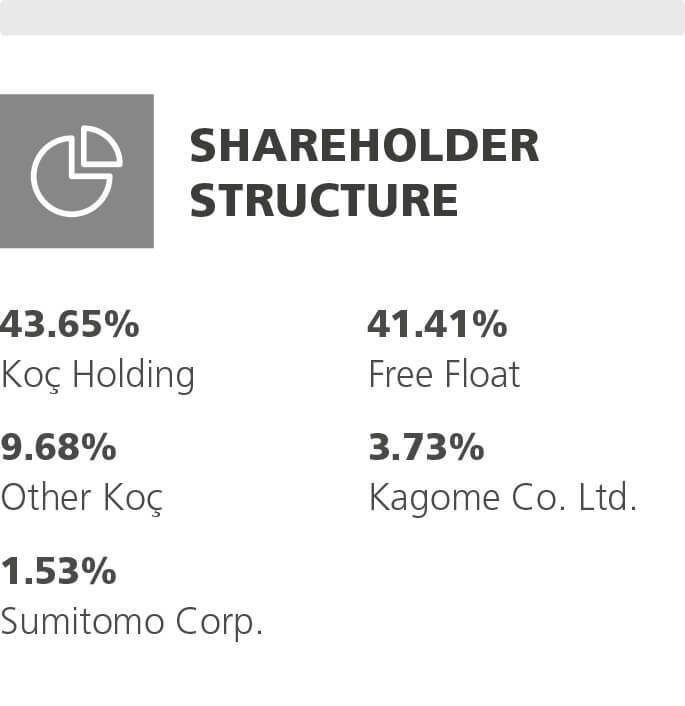 In 2015, the Company's revenues grew around 11% over the prior year. Operating profit rose 37% over the previous year to TL 70 million while earnings before taxes from ongoing operations went up 81% over 2014 to TL 64 million. Despite the overall economic challenges in 2015, Tat Gıda recorded strong profit thanks to efforts to increase productivity. In addition, the Company reduced its debt and strengthened its financial structure. In order to bolster its market leadership position in 2015, Tat Gıda conducted digital promotional campaigns targeting children and youth, in addition to engaging in other communication activities that strengthen emotional bonds that consumers feel with the Company's brands. In order to modernize and rejuvenate the Tat brand, which leads the market in the tomato paste, ketchup and tomato products categories and to help it to grow closer to consumers, the Company launched the "Sweet Tomatoes Family" campaign in 2015. The SEK brand initiated a communication campaign that underscores the brand's vision of preserving and multiplying kindness. SEK also strived to raise consumer awareness in the cheese category with the promise of "quality cheese from quality milk." SEK, leader in the pasteurized milk category, launched the product "Fresh Milk for Yogurt," for consumers who want to produce delicious and creamy yogurt at home. Furthermore, SEK Cold Coffee products were relaunched and promoted via digital channels. SEK also worked on increasing the turnover of new products launched in previous years. The commercial campaign "Hipsters Cried" launched by SEK for the promotion of the product "SEK Cold Coffee" received one Silver and two Bronze awards at the 2015 Crystal Apple Festival. 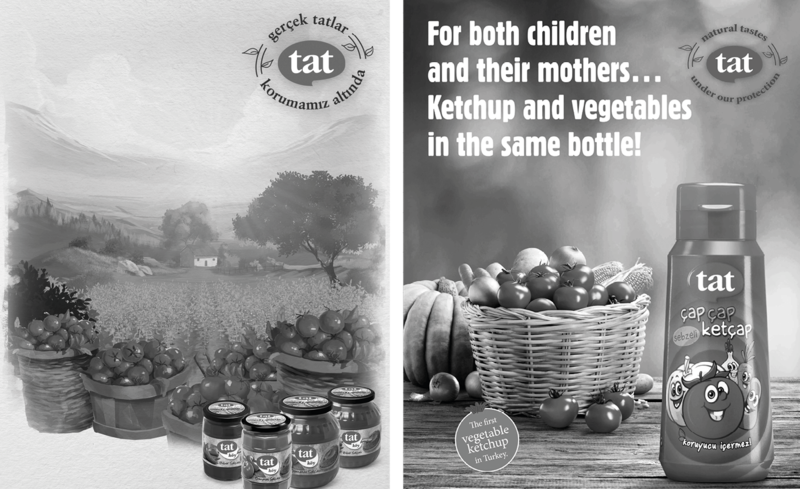 The press advertisement for the product Tat Acı Sos (Tat Hot Sauce) won the Bronze award at the Crystal Apple Creativity Festival, in the food category. Furthermore, the project "AçkenBakma (Don't Stare When Hungry)" received the first prize at the 13th Golden Spider Web Awards in the categories "Best Micro Site" and "Best Food Website." At the competition Stars and Crescents of Packaging, the packages for Pastavilla Junior pasta and the Special April 23rd Pasteurized Milk packages for SEK were awarded with the Gold prize. The packaging for SEK Pasteurized Milk with Chocolate and Fruit and SEK Fruit Juice received the Silver prize at the same event. In addition, the Tat Ketchup package collected the Competence award. Tat Gıda closed reporting year 2015 with positive results in terms of productivity and operating profit. 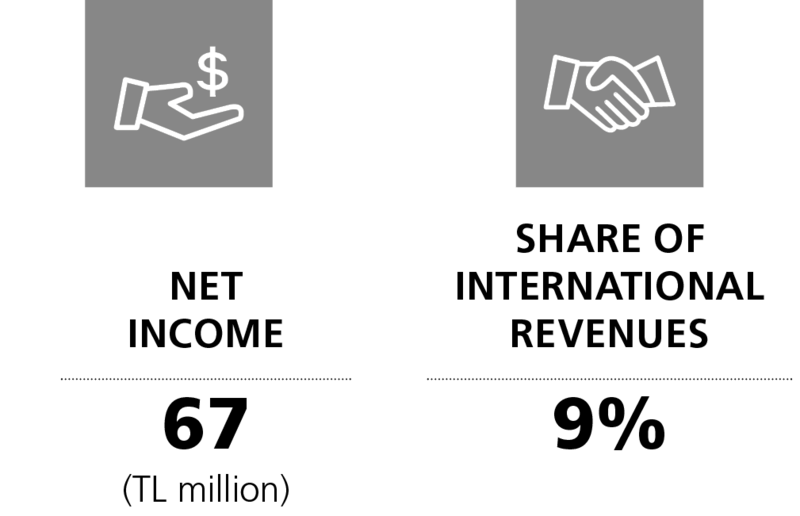 In 2016, the Company aims to boost its sales and market position while maintaining strong profitability.